So any insight from coach jewett about the upcoming season at tonight's Greenbacker meeting? We have members living all over the country. ...then joining the Greenbackers isn’t a good idea. Are the people who pay the dues to expect nothing for the all their time and devotion to the Wave? What do you get for the $50 dues lg? Would you classify this as supporting Tulane athletics in other ways? I am not a member (not much of a joiner by nature). I am defending their right to keep the information received at their meetings to themselves if they wish. I might also have said that anyone who pays attention to what is said here (I know, impossible standard) knows that individual members do often give out bits of this information. Perhaps all you need to do is wait. Gotcha. I was just curious what the dues go towards. Doesn't matter to me what they reveal or don't. As you say it's their right. Not a whole lot said during the media day press conference. Expect Roper and Gillies on Friday and Saturday in some order. Wouldn’t commit to a 3rd starter. Expect the same infield as last year but with Burns getting some opportunities at SS/2nd base and McKeithan behind the plate. The coaches have an agreement with all Booster Clubs that what gets said there stays there. People take the time to go to get the real information on things. In this day and age if you want that to continue you have to stick to that agreement. Any coach dumb enough to stand at a boosters meeting and say something that shouldn't be made public shouldn't be in the coaching profession. It only takes one booster with a big mouth (or a cell phone) to destroy a career. I'm sure it is fun to listen to our coaches tell stories and enjoy rubber chicken at the same time, but I sincerely hope they aren't divulging state secrets. They've usually had a few. Initially some people put things out they shouldn't but the groups are good now about policing their members. Coach also mentioned Haskin in the outfield, as Kobi is still healing up from last year’s injury. Based on that, you will probably see both in CF. He loves the area that Kobi can cover (speed), specifically in our outfield (it’s a pitchers park). He said (paraphrasing) that our pitchers look more “crisp”, have a little more pop, or edge to their pitches. He mentioned 3 pitchers, Roper, Gillies, and Solesky. Also, briefly mentioned a 4th, so let’s see where all of this goes. Huge turnout from the local media - all newspapers represented, along with on-line sites. Question about pitching “backwards” , a new trend in Pro Ball. Coach said that he is not doing that now, but you never know. Pitching backward, is you throw one guy, not your starter, and see how far he can take you. Another question was about LSU being scheduled, Right now, they have only agreed to one game per year, at a neutral site. Nothing new to report. Ed Daniels asked LSU question, along with how to improve on the he roard, and to close out the weekend. A stat that I somehow missed, was that we were 0-7 on Sundays. Coach said the team is aware, and working on all aspects of the game. Personally, I was surprised more questions weren’t asked (some didn’t ask any). I assume that was because each reporter/news person was allowed to ask 1 on 1 questions with Coach Jewett, Roper, Artigues, Hoese, and Pellerin. Maybe something new will come out of the 1 on 1 sessions. Coach also mentioned he has the most depth he’s ever had. Talked about some new guys will play, which will give others guys a day off. My personal opinion/observation, is that I see these guys more relaxed in their interpersonal relationships with both team mates, and the coaching staff. Hopefully that translates into more wins. 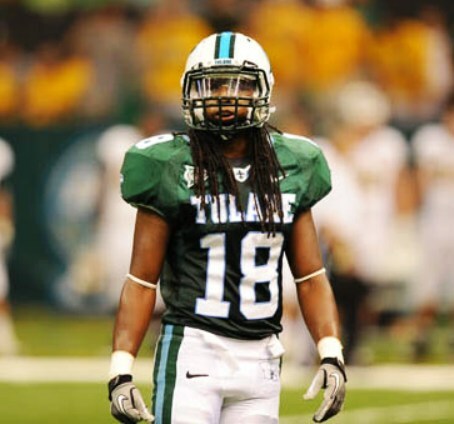 Hope springs eternal for this TUlane fan.. They have talent just about everywhere. Offensively, we will be good. Defensively we will be good. Pitching will be better, but the key will be developing those four to five guys behind the front line pitchers. They must be able to throw strikes. If they do, we will make a regional. Daniel will bring so much to the table. The hitting coach is someone I have no clue about. And Jewett is in his 3rd year. He didn’t have a clue in year 1. In year 2, he was a little better. Now he is junior and has been around the block a couple of times. He has to progress just like the players. One of my hopes is he lets Daniel call the game and decide when to pull or leave pitchers in the game. If he does that, we have a shot at winning those 5-10 games we lost the past two years. It gets cranked up next weekend and should be a very entertaining year. Y’all think we were good defensively last year?